CASE STUDY: Hakuhodo Tokyo helped a Japanese village increase rice sales with a giant take on QR-code technology, and earned-media coverage of the project drove a dramatic increase in visitors. The work described here won Gold for use of digital in a PR campaign at Spikes Asia. A small village in northeast Japan famous for rice, Inakadate, was struggling with aging and declining population along with a drop in rice sales, since Japanese eating habits have shifted away from rice toward a more Western diet. Nevertheless, the village’s main income source remains rice. Hakuhodo Tokyo tried to re-energize the village by creating a fusion of agriculture and digital technology. The goal was to lead people to the depopulated agricultural village without any use of paid media, but utilizing their resource, rice. The village created huge art pictures in rice fields by planting different colors of rice. 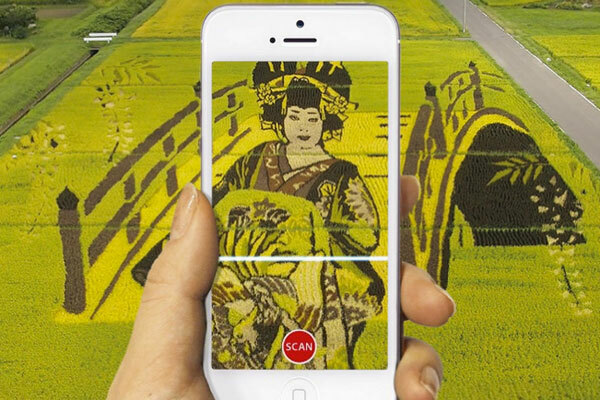 Hakuhodo developed a new technology called "rice-code", which let visitors scan the rice art with their phones (like a QR code) in order to purchase the rice. "Rice-code" transformed a scene that people naturally want to photograph into a brand new selling place. The project successfully attracted 251,320 visitors, about 30 times the population of the village. Meanwhile, sales of rice increased 380% over the previous year. A village with around $5,000 for a rice advertising budget (including poster printing and design fees, but basically no media fee) gained significant media exposure, including on TV and newspapers, and a great deal of local media. The effect of rice-code's PR was to gain more than $100,000 in media exposure. Traffic to the villages's homepage also increased to eight times the usual level. The movement even motivated the government to build a special train station for the influx of visitors.